Before discussing Business Models for Teams, here are a few general questions. First, was there a turning point (if not an epiphany) years ago that set you on the career course you continue to follow? Please explain. Tim: Agreeing to have my company acquired was a decision with lifelong impact on me, my family, and my employees. That responsibility made me question my own “why.” Looking back, that experience may have seeded the personal business model concept. The acquisition itself and the subsequent two-year earnout was both rewarding and painful and left me wanting to teach rather than pursue business as a career. Bruce: I experienced one of the worst recorded cases of self-inflicted, corporate culture whiplash. I moved from a dynamic, high-tech turn-around of a Fortune 500 company to an electric utility. It was like slamming on the brakes at 80mph. Not a fit. When I left my leadership role in corporate workforce development I told myself that, in the future, I wanted to be in roles that earned the enterprise revenue. I was sick of being “overhead.” It prompted my next job in a global talent development company and eventually the entrepreneurial move into my own company, Three Questions Consulting. To what extent has your formal education been invaluable to what you have accomplished in life thus far? Tim: Pursuing doctoral studies led me to Alex and Yves’s work. That was ultimately more important than the degree itself, though the doctoral credential enabled me to become a university professor. Meeting Alex and Yves enabled even more important work. Bruce: For the first part of my career people were confused by my seemingly disparate degrees in industrial and labor relations and clinical psychology. When I became the Director of Employee Assistance Counseling at one of the largest civil engineering firms in the world it all came together. My boss, the medical director, couldn’t have asked for a better blend. Since then I’ve been enheartened by the way psychology has entered the vocabulary and mainstream of how business is conducted. I’m right where I need to be. I prefer “the essence of strategy is doing things differently from competitors.” I think Porter said that as well. Tim: I wish I had said that. Tim: Yes, and I like Steve Blank’s version: “most business plan ‘visions’ are more like hallucinations.” Steve probably got that from Thomas Edison! Bruce: Business modeling. I wish I had known about business modeling 30 years ago. I think about the number of organizations that I’ve worked for that were an operational mystery to me for months after starting my job and all because neither I nor my leaders could explain the big picture. All they could offer was an org chart and a job description. I, and hundreds of others, wasted valuable time and productivity bumping into things until we finally figured out the operational model we were being asked to operate. This shared interest in the power of business modeling is why the writing partnership with Tim has work so well. I offered him a bigger theory of career management and leadership and he offered me a clearer, faster way to picture how any enterprise delivers value and gets compensated for doing so. Tim: Teach all employees enterprise, team, and personal business modeling. When you look at the evidence of how enterprises respond to poor engagement scores, you see why they’ve missed the point. They typically spend additional resources on leadership training and performance management programs; decent things to do, but not actions that get to the source of engagement. It is better to build followership skills. Teach business modeling to everyone in the enterprise and everyone that joins the enterprise. Use it as a means to converge perspectives and align more collaborative actions by democratizing systems thinking. Build more engaged and savvy followers by giving them the gift of understanding the business model they are being asked to operate. Help them move from me to we. Now please shift your attention to Business Models for Teams. For those who have not as yet read it, hopefully your responses to these questions will stimulate their interest and, better yet, encourage them to purchase a copy and read the book ASAP. First, when and why did you decided to write it and do so in collaboration? Tim: Two things prompted it. First, in 2014 we delivered a Business Model You® workshop in Seattle that was attended by a Genentech HR manager. He said it was the best career development method he had ever seen. He wanted us to deliver the program at Genentech, but in a form designed to encourage participants to stay with the current organization. 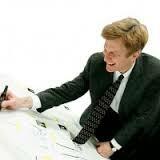 That was a strong clue that there was organizational demand for the personal business model method. Bruce: I’ve had a number of people marvel at the team dynamics we had to manage to write a book with so many outside contributors, to say nothing of the two of us cooperating with each other. This global team of co-creators is proof of the global appeal and applicability of the methodology. This is not an esoteric piece of organizational sorcery from Silicon Valley. 2. Business modeling was well covered at the enterprise and individual levels (Business Model Generation and Business Model You). But today most work gets done by teams. We saw that all kinds of teams could better engage and succeed if they could depict and share their business model as a way to collaborate. In the absence of this shared we model, people tend to obsess over their job description and revert back to a me model. In my opinion, Keiko Onodera’s brilliant skills as a designer added great value to the presentation of material. Presumably you agree. Tim: Indeed. Good designers force you to clarify your message. With books like these, designers influence content in a big way. I learned this both with Keiko and with Business Model Generation designer Alan Smith. The reference in the subtitle to “how each person fits in” reminds me of one of my favorite observations by Margaret Mead: “Always remember that you are absolutely unique…just like everyone else.” Your response? Tim: Ha, ha! That’s another good one. Wish I had said it. I wholly agree with the thesis of Simon Sinek’s book, Start With Why. That is, formulate a precise definition of a strategic objective before attempting to achieve it. What do you think? Tim: Not sure I agree with that. Take Google, for instance. Those guys had no idea what they were doing other than they had created a killer algorithm. Their business was based on a strong Key Resource, not on any strategy. The strategy and “why” came later. It was the same with Apple. The two Steves did not have a big “why” in mind. They just blundered ahead. The “why” came later, with experience and an increasingly successful business model. None of this takes anything away from Simon. I love his work. We had the same editor at Penguin. I just think his point is more that you need to start with your why when marketing/hiring, etc., rather than precisely define a strategy before trying to achieve it. Bruce: I used Simon’s Start With Why with a blended group of leaders coming together for the first time after a merger. They were going to be running one of the largest collection of ship repair and ship building facilities on the West Coast. Their strategic goal was “…providing world-class maritime and industrial services to support our customers and strengthen the communities where we live and work.” But here’s what they came up with as a more compelling “why”: These industrial jobs matter. An organization needs a clear strategy. But they create a more compelling reason for people to start and stay if they know their “why”. In your opinion, which of the material you provide in Business Models for Teams will be most valuable to those now preparing for a business career or who have only recently embarked on one? Please explain. 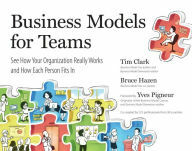 Bruce: The great thing about the Business Models for Teams methodology is that you can start to use it from where ever you are in an organization – executive leader with years of seniority or new professional joining a team. It adds value anywhere that systems thinking is needed so that two or more people can converge their perspectives on operations and better collaborate. It has enormous value for people entering the workforce who may not have any formal business education. They may know their craft or functional area of business but they need a more holistic picture of how the whole enterprise functions to deliver value to customers and get compensated for doing so in a repeatable fashion. Additionally, I think that the Valuable Work Detector tool will enable readers to think more like an entrepreneur whether they are on a team that is inside a large organization or part of a startup. It causes an outward focus on customers instead of an inward focus on one’s j-o-b description. I had been trained not to expect comforts or customs that would keep things the same over time. Organizations need to hire people with that expectation or teach change as a way of organizational life. That means teaching flexible tools and methodologies like business modeling that allow people to visually share new ideas about operating when conditions change and the comfort, customs, and customers of the past are no long viable. Tim Clark is an educator, entrepreneur, NEXT-certified entrepreneurship trainer, and author who leads the global personal business model movement at BusinessModelYou.com. After selling his startup to a NASDAQ listed entity in a multi-million-dollar transaction, he earned a doctoral degree in business and went on to author or edit six books on entrepreneurship, business models, and personal development, including the international bestsellers Business Model You and Business Model Generation, which together have sold more than a million copies in 30 languages. He holds a BA, MBA, and doctoral degrees from Stanford University, the University of Hawaii at Manoa, and the Hitotsubashi University Graduate School of International Corporate Strategy. As a career and management consultant, Bruce Hazen combines business systems experience with clinical understanding to address the needs of individuals in a range of different professions who are managing other people, organizations, and their own career development. He is the President of Three Questions Consulting in Portland, OR, and coauthor of the chapter on Career Coaching in The Complete Handbook of Coaching and is a contributor to Business Model You: A One-Page Method for Reinventing Your Career. Bruce has a B.S. in Industrial and Labor Relations from Cornell University, with emphasis in organizational behavior and psychology. In addition, he holds a Masters Degree of Science in Clinical Psychology from California State University, San Jose, and is active within the Institute of Management Consultants (IMC) and the Association for Talent Development (ATD) and the Organization Development Network (ODN).